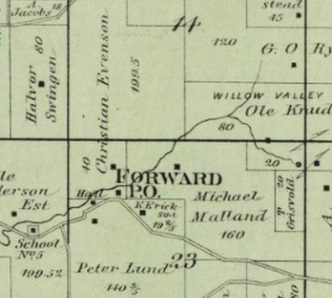 In 1872 the federal government created a second mail post office for the township of Perry in Christian Evanson's farm house. As postmaster he gave Forward its name. It closed in 1903 and by 1911 the Mt. Horeb Post Office had RDF routes to serve the area.